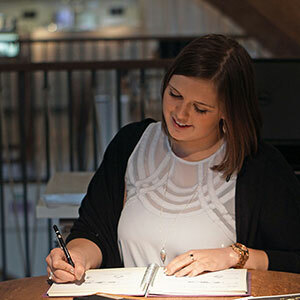 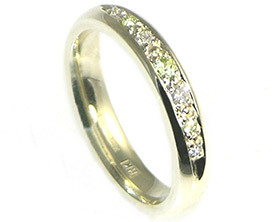 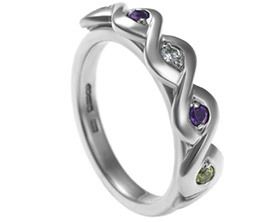 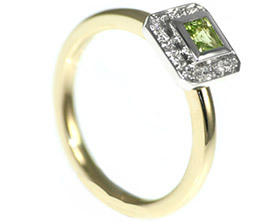 Robert wanted to design Emily engagement ring as a surprise, he loved the idea of it being a colourful and vibrant piece of jewellery that stands out to reflect Emily’s personality as well as it being quite simple and elegant. 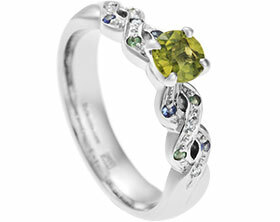 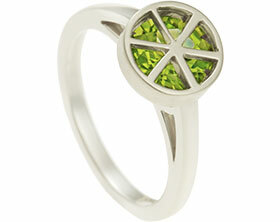 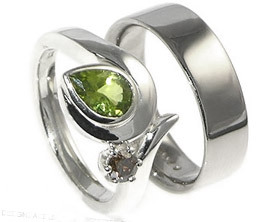 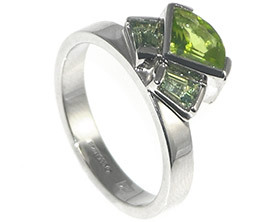 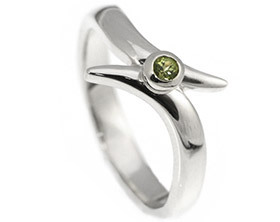 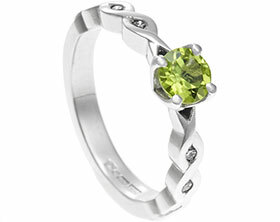 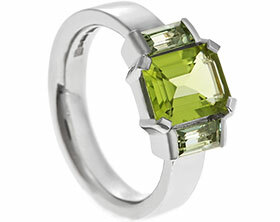 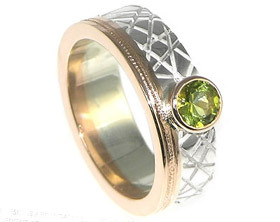 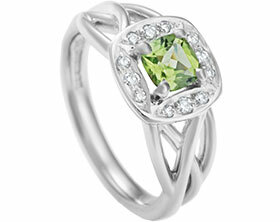 He liked the idea of a coloured stone and decided green was the right colour to go for, after looking at the different options he decided on the vibrant green colour of the Peridot. 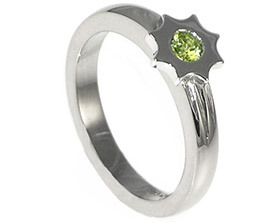 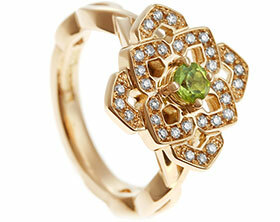 He chose a lovely 7mm brilliant cut Peridot in a four claw floral detailed setting to add a really pretty feature to her ring. 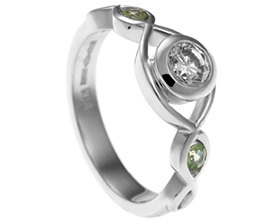 The floral setting worked beautifully with the twist style band he wanted as the band flows right in to the floral detail to add a lovely design feature. 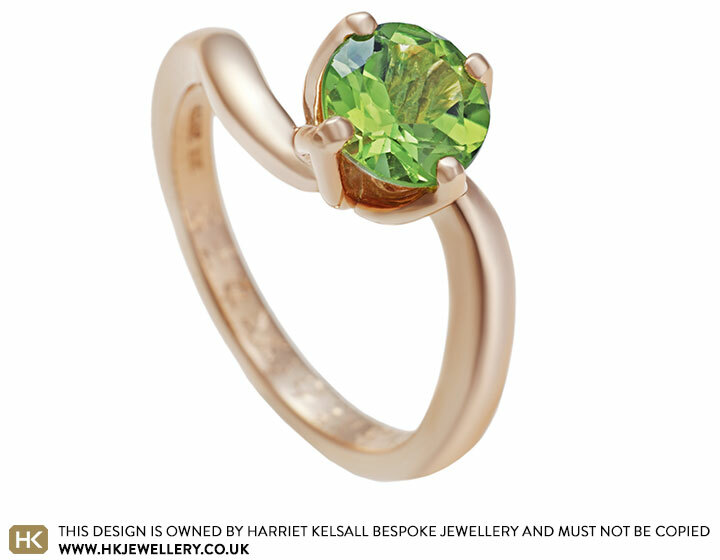 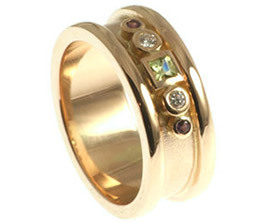 To create a really vibrant look he went for the warm 9ct rose gold as he loved the colour combination with the lime green Peridot.